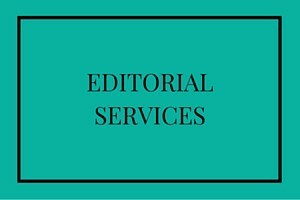 Editorial Services across Surrey, West Sussex and beyond. Skimming over the proofreading and editorial process can be costly; both literally, and in terms of your reputation. Obviously, it is essential to ensure that your spelling and grammar are absolutely spot-on, but the editorial process is about much more than that. Even if your words make sense, they have to flow in a way that is pleasing to your intended audience. The Original Wordsmith, therefore, not only checks the obvious things that an editor or proofreader should look for, but delves deeper into your written content to make absolutely sure it is sending out the correct message. Feel confident that all grammar, spelling and punctuation is correct – and that your words sound great! Got the words already but not sure that they sound great? Pass them over and watch me work my magic. Need an honest opinion and constructive suggestions on how to improve your writing? Ensure that all website copy, reports, presentations, training manuals, presentations, advertising and marketing messages are on-brand, consistent and clear.